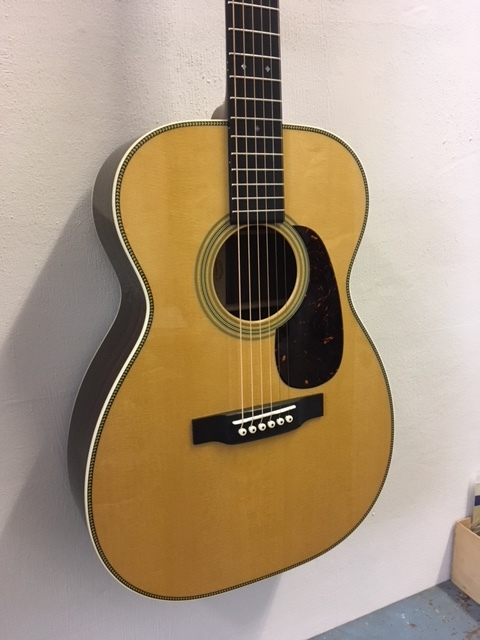 Martin 00-28 guitar Re-imagined (new). Grand concert size Martin guitar. Sitka spruce top, rosewood back and sides. Herringbone inlay on the top. Scalloped bracing. Hardcase.